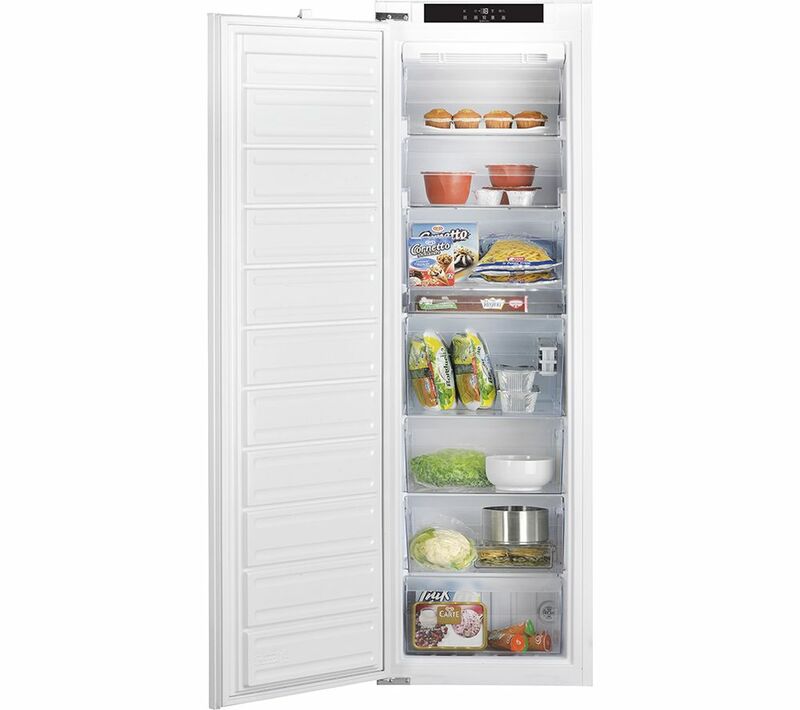 You can stock up on favourites for the whole family and make less trips to the supermarkets as this Hotpoint Day 1 HF 1801 E F AA.UK Integrated Tall Freezer features a large 210 litre capacity. You can also store your food efficiently and save money on your household utility bills thanks to the A+ energy efficiency rating. Also, the Food Care zone creates the coolest conditions in the fridge, making it ideal for storing meat and fish. Prevent your goods from partially defrosting when adding newer items into your appliance with the Super Freeze function. Simply press the button to rapidly freeze your new food and maintain an even temperature inside your appliance. Plus, you'll never have to manually defrost again thanks to the frost free design which circulates cool air to prevent the formation and build-up of ice - meaning you can maximise all of the available capacity. No matter your ambient kitchen conditions, you can program your freezer to your needs with the easy to use adjustable thermostat, giving you greater control of your storage. 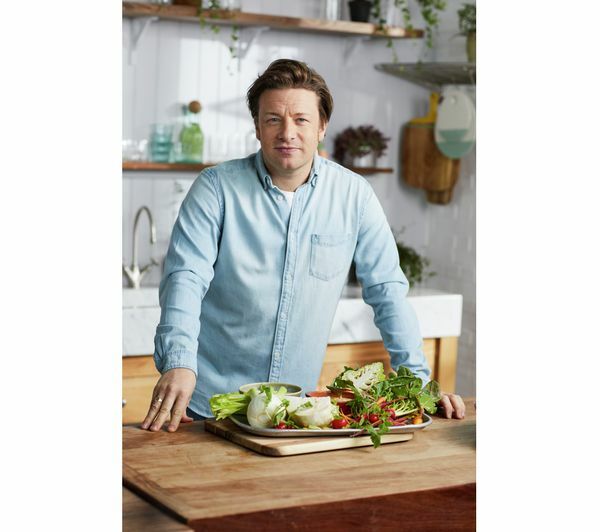 Keeping your food fresher for longer, the partnership of Jamie Oliver's home-cooking philosophy and Hotpoint's innovative products ensures that everybody can eat well and enjoy delicious meals. 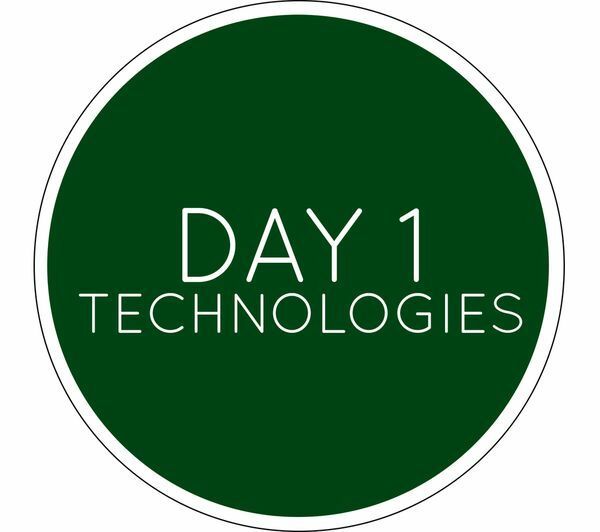 Hotpoint's Day 1 technologies creates ideal storage conditions for your favourite food, helping you to live a healthier lifestyle. Reversible door - hinged on left. Includes installation kit. Please consult our Knowhow team or a qualified installation expert to carry out door reversal - select door reversal service when adding product to basket.